Collect them all! 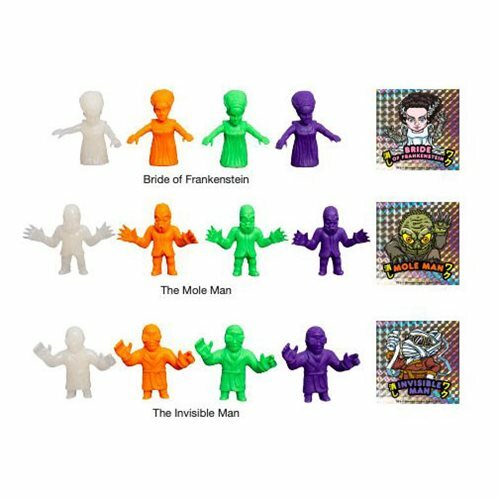 Universal Monsters Keshi Surprise Mini-Figures Series 1 6-pack includes 6 blind-boxed, individually packaged mini-figures- each has a foil sticker! 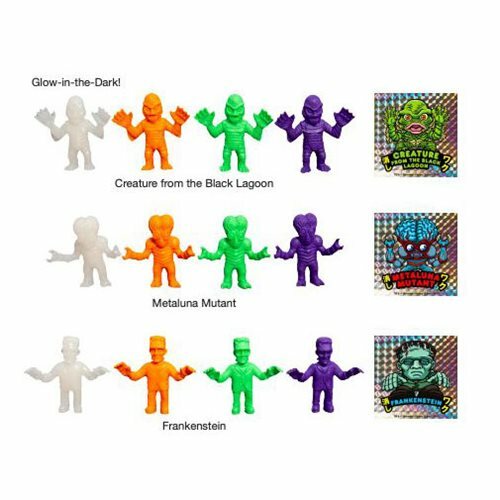 Creature from the Black Lagoon, Mole Man, Bride of Frankenstein, Metaluna Mutant, Frankenstein's Monster, and The Invisible Man each come in up to 4 random colors - which ones will you get? Set includes 6 randomly blind-packaged 1 3/4-inch mini-figures.